The beautiful part of social media is you don’t need a brick-and-mortar location to discuss new ideas and meet like-minded people. 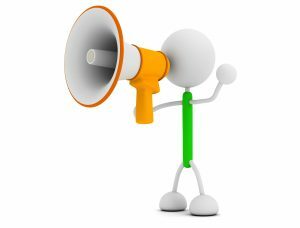 Instead, host a TweetChat or Twitter Party and speak with current and prospective customers from the comfort of your own computer or smartphone! Twitter is a fabulous way to market your business for many reasons, but one engaging and easily measurable way to interact with those you serve is to host a TweetChat or Twitter Party. 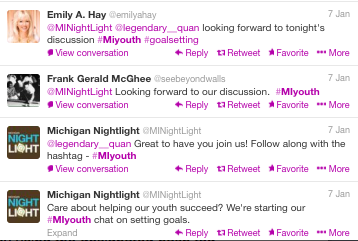 We personally have seen great results in chats we have hosted highlighting The Ellen Show and MIYouth. From our experience, these organized conversations are a great way for businesses to connect with consumers and achieve a specific goal, such as increasing awareness, engagement or demonstrating authority or leadership. A TweetChat or Twitter Party is an organized discussion that takes place on Twitter at a certain time, date and with a particular hash tag. There is usually a moderator or a host and anyone can participate by using the designated hash tag in their tweets. These chats can happen any time of the day, but are quite popular in the evening when people have a bit more free time to use their smartphones and tablets. 1. Use a TweetChat or Twitter Party as a means to connect with influencers. Choose a topic that will engage your audience and make them want to learn more about your brand, organization or cause. 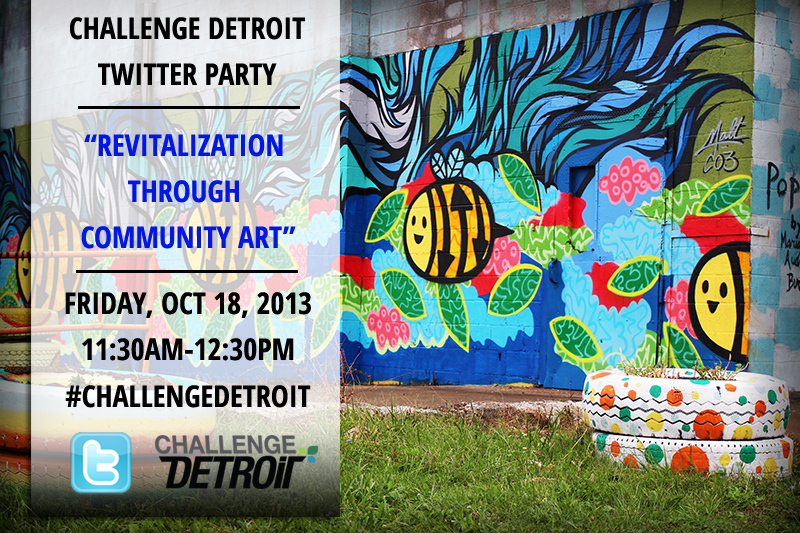 A great example of this is the monthly Challenge Detroit TweetChat that discusses solutions to problems facing the city of Detroit like homelessness, education and public transportation. If you’re hosting a more party-like chat, having a few prizes on hand is a great place to start – periodic gift card giveaways can be a great way to keep participants engaged throughout an hour-long chat session. 2. Pick a hash tag that resonates and encourage participants to use it in each and every tweet. Choosing a short, descriptive and specific hash tag works best. After the Twitter Party is through, it’s easy to go back to measure the success of the chat by seeing how many users were engaging with the specific hash tag you designated. 3. Use a Tweet chat to gain quality followers. As the host of a Tweet chat, you may gain lots of new followers each time you hold a chat. Additionally, you’ll continue build your social influence with each retweet and mention. This can be a great way to gain new followers who want to engage with your brand. *Remember, like any marketing initiative, a TweetChat takes time and commitment to build momentum. 4. Use an existing chat to gain credibility and understanding. Before creating your own TweetChat, research what chats already exist to make sure yours is truly unique. This link is a great resource on what chats already take place during each day of the week. If there is a current Twitter chat in your area of expertise, chime in! Not only will this help you build social authority, but it will also help you gain credibility. When participating in a specific chat, be a valuable resource and don’t be afraid to ask about guest opportunities. Also, make sure to keep your Twitter profile updated so others can easily learn about your expertise. 5. Twitter chats are meant to promote a brand or idea, so use it as such! Don’t be afraid to mention your business by name, or ask potential customers what they think about a specific product or service you offer. These chats can be a valuable tool for market research and learning about your customers and prospects. As hash tag usage continues to grow, more businesses are likely to add TweetChats or Twitter Parties to their social media marketing strategies. If you need help getting a chat started, we are here to help you navigate, so please reach out with questions.